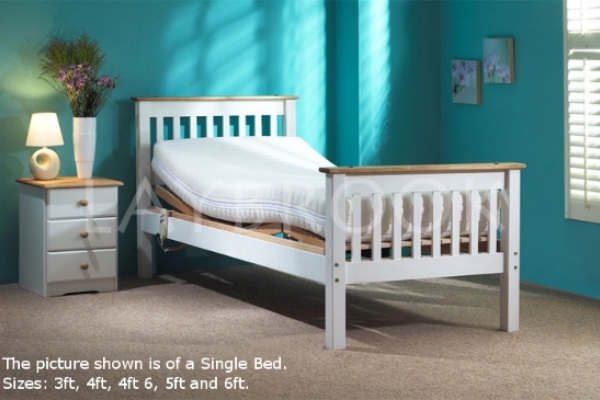 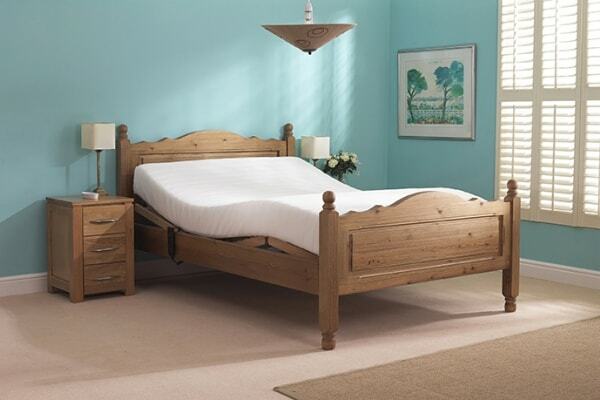 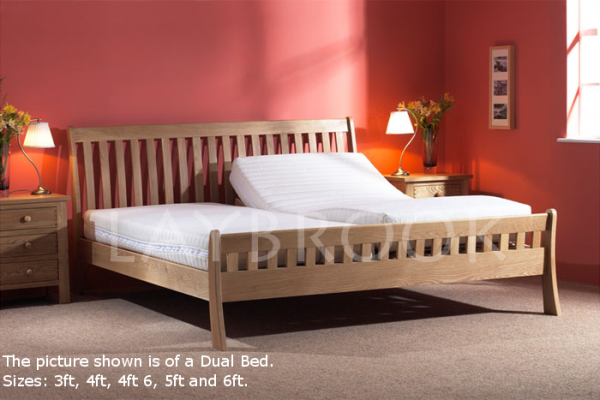 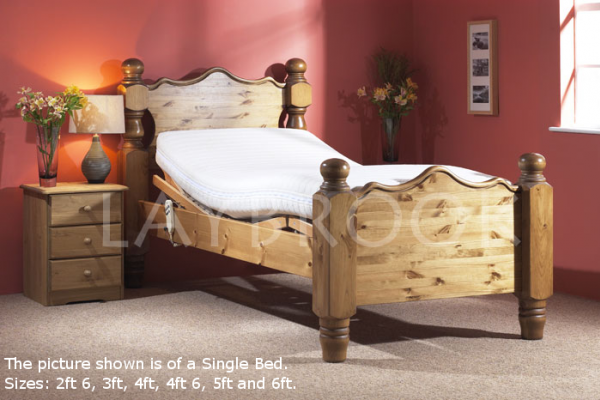 All our wooden beds come in single, double and dual sizes*. 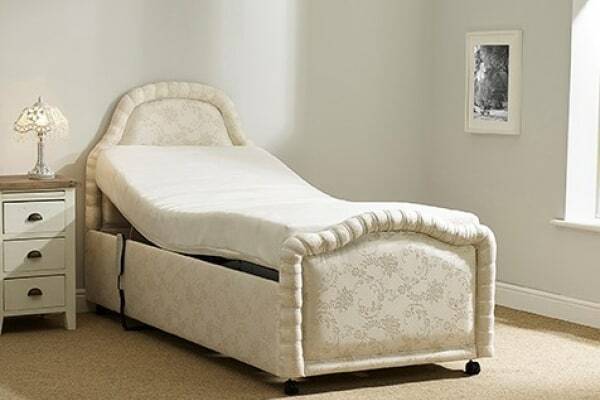 Wooden adjustable bed with high quality Qeflex mattress removable washable cover. 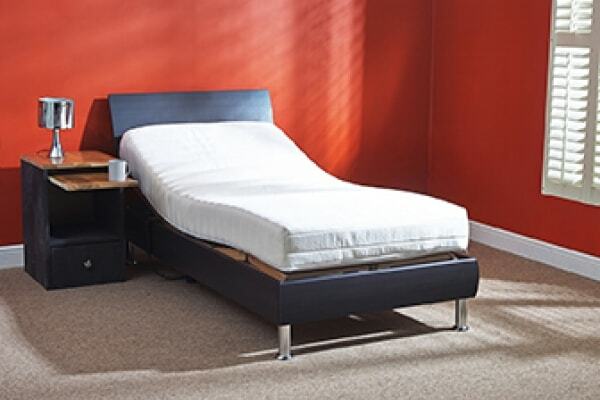 The Aston bed is a modern stylish bed on chrome legs. 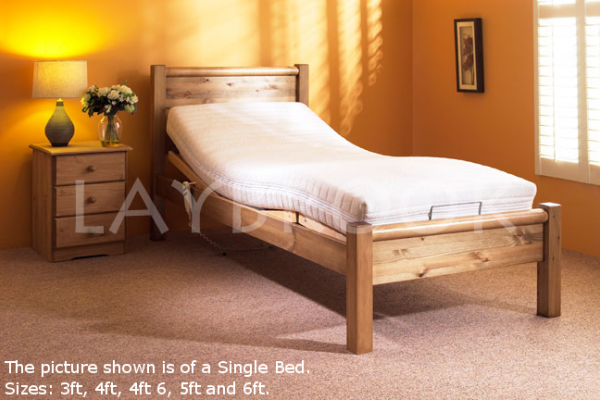 This is another outstanding addition to the Laybrook family of adjustable beds, a pine bed with beautiful contemporary styling. 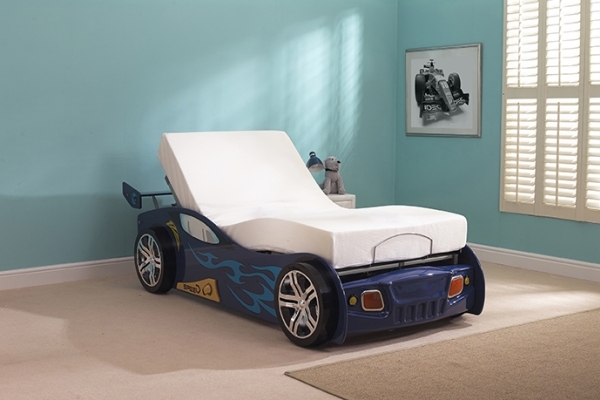 Comes with a Reflex mattress. 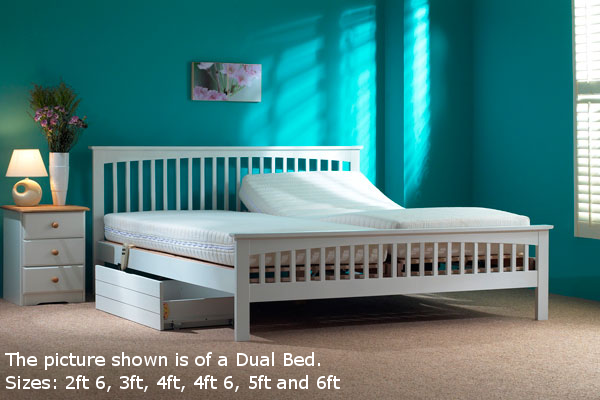 This electric adjustable bed is made from hard wood that is painted white. 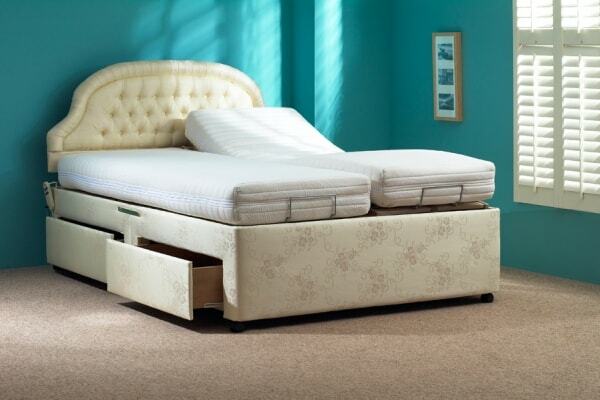 It can come with very useful drawers on wheels for storage. 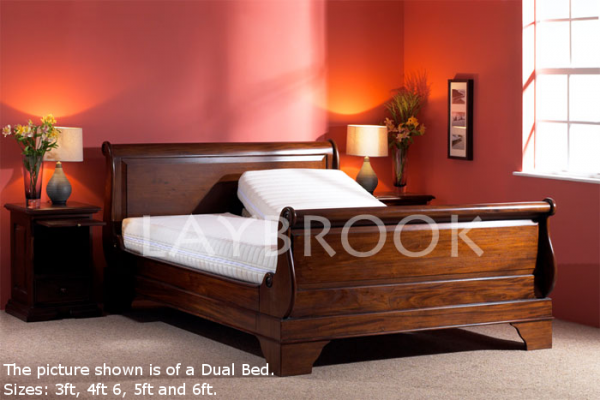 It comes with a Reflex mattress and has a removable washable cover.